Trigonometry – The trigonometry class (seniors) is working with trigonometric functions and solving trigonometric equations using identities. They are getting really good with solving the trigonometric equations. Geometry – The two geometry classes (juniors and seniors) are working with angle and chord relationships in circles, for example, finding the measure of an inscribed angle. In addition, they are preparing for the S.A.T. and P.S.A.T. tests. Algebra I – The freshmen are factoring polynomials – both trinomials and binomials (using the difference of two squares). This week they will apply this knowledge and connect it with parabolas. They are preparing for the P.S.A.T. 9 test. Integrated Mathematics – Students in this class have been working on ixl.com to find the vertex, axis of symmetry, minimum/maximum, and y-intercept when working with quadratic functions, that is, parabolas. Pre-Algebra – The eighth graders have been graphing lines and linear inequalities on the Cartesian Coordinate System as well as solving direct variations. They are also working on preparing for the P.A.R.C.C. test. 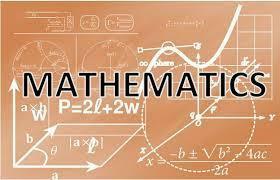 7th Grade Mathematics – The sixteen seventh graders continue to work on a variety of foundations of mathematics. They are working with solving expressions of inclusion following the proper order of operations. In addition, they are preparing for the P.A.R.C.C. test. Copyright © Prairie School District 2019. All rights reserved.